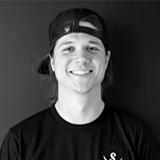 Q: Why should I consider adding product finishing (folding, labeling, and packaging) to my business? Customer Retention: if they haven't already, at some point, customers may bring you jobs that require product finishing, whether it's folding, labeling, packaging—or all three. At that point, your options are to turn down the job or farm out the finishing work to a business—often a competitor—that has that capability. Neither of those is an attractive option. Worst case, you risk losing your customer to a full-service operation. Best case, you lose the additional revenue and incur the additional expense of shipping the order to a subcontractor. Expanding the Customer Base: this is closely related to customer retention, except rather than trying to protect what you have, it's an opportunity to increase the number of customers you serve—and profit from the additional revenue that increased sales can generate. And remember that a finishing line isn't just a way to keep customers happy; it's an additional revenue source. Promoting the Business: In some cases, product finishing allows the company to include its logo or other information on the labels affixed to the garments or to the poly bags. This is particularly beneficial with garments that will be distributed at sports or music events. Of course, the customer would have to agree to this arrangement, but a price break on product finishing might work as the quid pro quo. Company promotion should always be strongly considered when donating or heavily discounting shirts for charities and other public service organizations. Finally, any printer selling garments directly to the end user needs to take advantage of this opportunity. Q: Are there any other advantages to product finishing? JM: If the garments are headed for brick-and-mortar retail outlets, onsite folding saves the end user the hassle and likely greater cost of doing it after receipt. In addition, bagging helps protect each garment from dirt, dust, and moisture—especially when the bag is heat sealed. Equally important, proper folding, bagging, and labeling give garments a polished, attractive appearance. And labels can be affixed to the garment prior to bagging and/or after bagging. In addition, labels can include a SKU to make processing sales easier, and labels can be color coded to make it easier to identify garments by size. 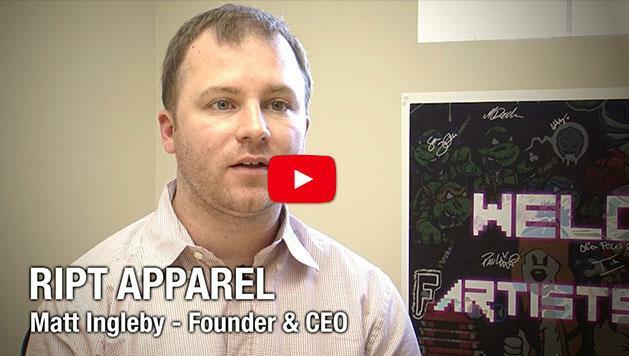 If you'd like to see how screen printers can make the most of adding a finishing line to their business, check out this Screen Printer's Success Story featuring RIPT Apparel in Chicago, Illinois. Their online shirt-a-day business prints short runs and ships individual shirts out to their customers after running through a folding, packaging and labeling line that simplifies what could be a labor-intensive and time-consuming packing and shipping process. Q: What is the return on investment [ROI] for product finishing equipment? JM: Although the ROI can vary widely, it's usually quite rapid. Clearly, as with most purchases, the business should carefully evaluate several factors prior to purchase. Those include an analysis of the time and effort that go into manual finishing operations (usually by sampling a period of time—unless manual product finishing is a full-time operation). That means tracking the number of garments produced in each process (folding, bagging, and labeling by hand) and dividing those numbers into the employee hours (or loaded labor rate) required. Then compare those figures with the production rates possible with automatic folders, baggers, and labelers. High-quality folders, labelers, and baggers can each process up to 1000 garments per hour. Keep in mind that there's an additional benefit with a fully integrated folding/bagging/sealing/labeling system: those combined processes require a single operator. Every step after loading the garment on the folder happens automatically. Labels can be affixed to the garment prior to bagging and/or after bagging. Manual finishing just doesn't come close, and often times the increased efficiency alone will justify the investment. The business also needs to tally the total amount of manual finishing being done in house—and the opportunities to add to it. The former should be easy; the latter less so. But a way to start is to look at any offsite finishing you're doing, as well as any jobs you've had to turn down because you lack finishing capabilities. Finally, check with your customers to see which ones would be interested in adding product finishing to their orders. Combining immediate savings through efficiency with estimated additional revenue can go a long way toward deciding if a product finishing line is right for your business. Manufacturer representatives are also a good source of information and analytical tools that will help you make the right decision. M&R developed a matrix for determining return on investment (ROI) for product finishing equipment. 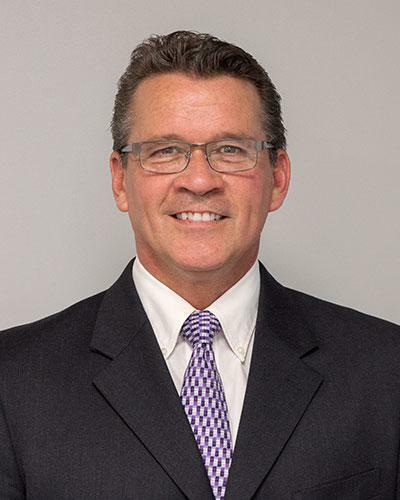 Contact John Murray (john.murray@mrprint.com) for assistance in determining if a folder or integrated folding/bagging line is a financially viable addition to your operation. Q: Should I purchase an integrated system? If not, what equipment should I purchase first? JM: If your analysis indicates that the equipment can pay for itself, you should strongly consider an integrated system. That's because of the aforementioned single operator. Running each process separately requires an operator. So, for example, an automatic folder needs an operator for loading. It's the same with labelers and bagger/sealers. However, a fully-automated and integrated system only needs someone to load the folder. Labelers on the folder automatically apply labels, and garments exiting the folder are automatically passed to the bagger/sealer (where another labeler can be set to automatically apply a label to the bag). Click here to see video of an integrated finishing system in action. Anchored by M&R's K-950™ Automatic Shirt Folder, the system includes the LS-350™ Long Sleeve Folder, L-15H™ Garment Label Applicator, IC-120™ Shirt Conveyor, and the semi-automatic Omni-Bagger™ T-Shirt Bagger. The bagging/sealing portion of M&R's integrated system can be upgraded with the fully-automatic AB-9000™ Bagging/Sealing Machine. See the video here. However, if you feel you can only justify one piece of equipment, it should be the folder. Not everything that needs to be folded needs to be bagged, but everything that's to be bagged must first be folded, so folders clearly get the most use. Used equipment is also an option. Older machines that have been properly maintained can serve you well for many years, and it's a less expensive way to test the waters. The problem, of course, is making sure the equipment you're considering is still in good shape. This is one case where you'll want to see the equipment in action prior to purchase. And you should make sure the manufacturer is still in business and that you can still get parts and service for the machine. You can find used equipment listings in the Classifieds section of the M&R Forums. Many other sites also list used screen printing and finishing equipment. 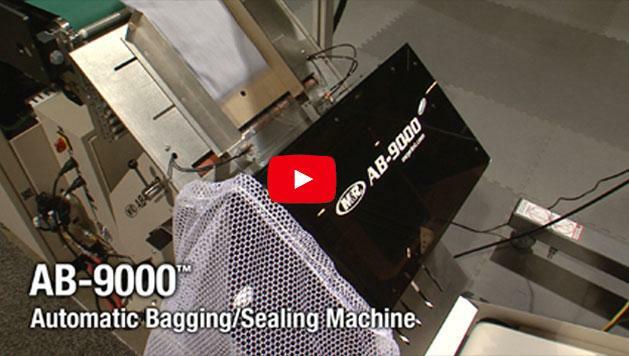 Watch the video of M&R's fully automatic AB-9000 Bagging/Sealing Machine. JM: Start with a touchscreen control panel that makes it easy to change folding parameters. It's a plus if the control center allows the operator to store and retrieve folding parameter sets for similar and repeat jobs. A cycle counter is a must since you need to know how many garments you've folded. There are two types of sensors that initiate the folding process: a shirt sensor initiates the folding cycle as soon as it detects a garment on the drape table and a touch sensor, which starts the folding cycle when the operator touches it. The shirt sensor promotes faster folding, but a touch sensor is more forgiving with inexperienced loaders, and the touch sensor works well on hard-to-load garments. The ideal is a dual sensor approach, which allows operators to switch between a shirt sensor and a touch sensor. The folder should have interlocking access panels and viewing ports for safety, but the interior should be easy to access for cleaning and maintenance, and the folding process should be in full view. The folder should be designed in a way that makes it easy to mount an automatic labeler. Casters make it easy to move the machine. Other options or accessories include long-sleeve folding attachments and transport belts that accommodate zippers, plackets, and buttons. Baggers should have automatic bag threading for easy setup and changeover, a locking mechanism that makes it easy to tailor the width of the chute to the width of the product, a synchronized bag deflator, a clear cover for viewing the bagging process, casters, and the ability to automatically remove the waste trimmed from the sealed bag. Q: Where can I get more information about folding and bagging equipment—and help deciding if a folding/bagging system makes sense for me? JM: You can start by checking out the T-Shirt Folding and Packing Machines page of our website (click here.). And you can contact me at john.murray@mrprint.com for help determining if the likely return on investment (ROI) works for you. With the matrix we can create scenarios to determine the amount of revenue you can expect based on various levels of production—and how much of that additional income will be required to cover the cost of product finishing machines.